Regulation and overtime did not settle it when the Msgr. Bonner-Archbishop Prendergast ice hockey team hosted Archbishop Carroll Friday, Feb. 9 at IceWorks Skating Complex in Aston. The score remained deadlocked at 3-3 and so it went down in the book as a final-score tie. Bonner’s offense was especially strong. The Friars finished with a total of 76 shots on goal and could have won by a substantial margin had it not been for Carroll goalkeeper Jacob George who managed to stop 73 of those shots. George knew that he could not have done it without his teammates. With this outcome, Carroll holds a record of 5-8-2 while this brought Bonner to 4-5-1, its first tie of the season. The Friars captured the first lead when forward Jakob Moleski scored with 10:28 to play in the opening period, with forward Tyler Ruppert assisting. The 1-0 score did not last as Carroll tied it up less than one minute later with forward Jason Zambella finding the net off a feed by defender Tyreese Walker. Late in the stanza, Bonner got back on top. Forward Tim Campbell registered a goal with forwards Gavin Merrin and Pat Jensen chipping in assists. Campbell extended his run to 2-0 with another goal in the second period but Carroll picked it up later in the period. T.J. Puhl scored off of a Zambella assist. Forward Morgan McLean also found the net with forward Justin Mangan providing the assist. The third period came and went with no scoring and so the game went into overtime. Both teams were desperately trying to secure a goal and win it. The Patriots used a time out with four minutes to go and the Friars used one three minutes later but that did not make a difference and the final horn sounded. All year Carroll has faced the difficulty of a rather thin bench of extra players. Against the Friars, Puhl, who plays both backup goalie and forward, played defender where his team really needed him. “He played it out to help us tonight,” said Kramer. Goalkeeper Connor Lewis paced Bonner’s defense with 22 saves. Bonner returns to action Friday, Feb. 16, taking on Oxford at the Pond Arena. 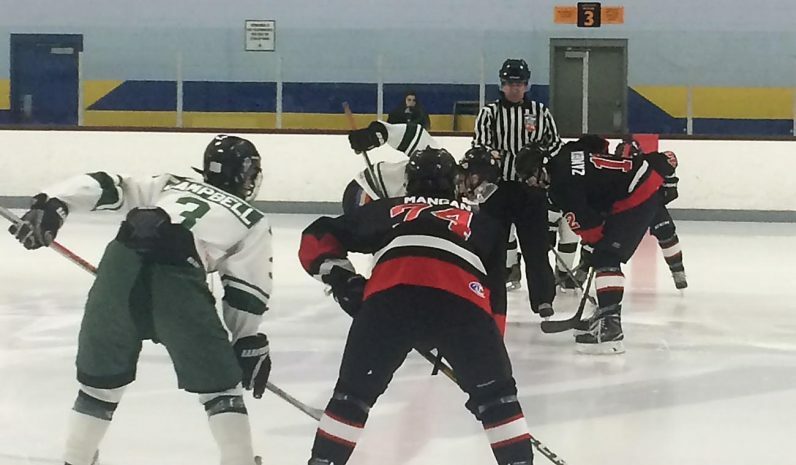 Bonner currently sits in fifth place, with six points, in the South Division of the Inter-County Scholastic Hockey League. 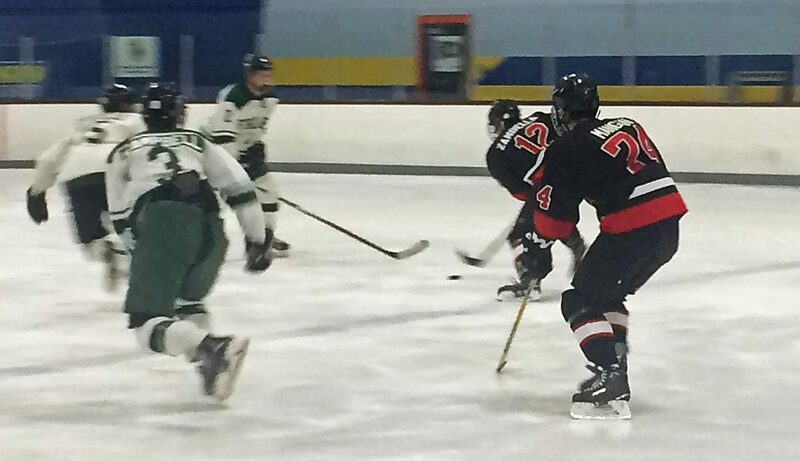 Carroll is in the middle of the pack at fourth place, with five points, in the Philadelphia Catholic League division of the ICSHL behind Father Judge (16 points), Cardinal O’Hara (18) and leader Archbishop Ryan (20).